Let Us Take You To Husavik! 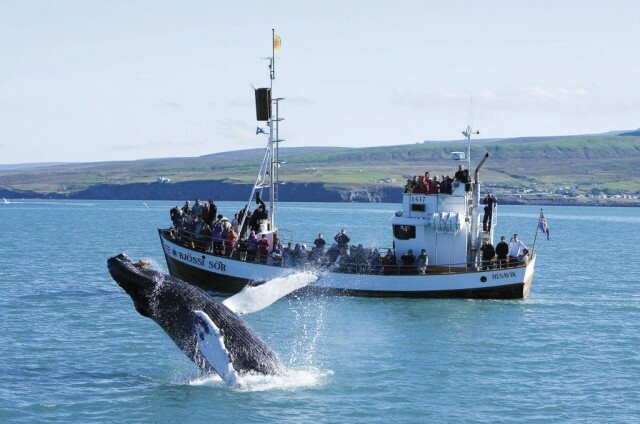 We drive from Akureyri to Husavik, the capital of Whale Watching in Iceland. 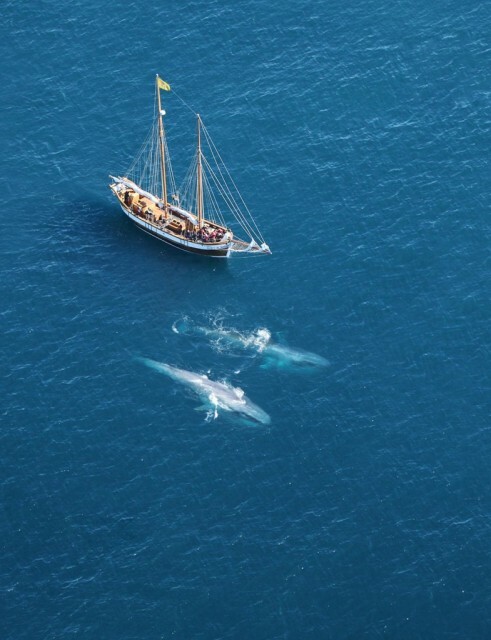 Before we get on the boat, we have the option of visiting the Whale Museum and get to know the biggest creatures on the planet a little bit better before we meet them. 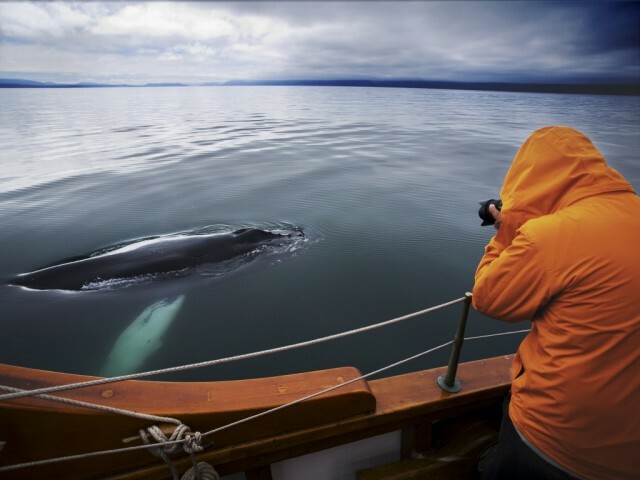 On board the boat it is not just the whales we can enjoy, but also the scenery, and the varied birdlife is magnificent: Puffin, Guillemot, Arctic Tern and more, are frequently seen on this whale watching tours in the Skjalfandi bay. 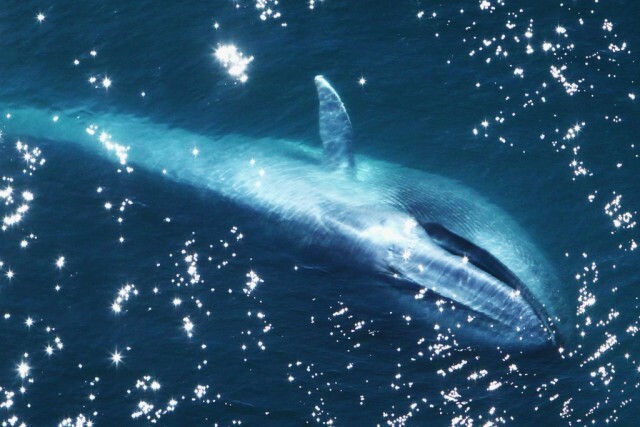 Most common whales to be seen, are the Minke whale and the Humpback whale, but others can also be spotted such as the Sperm whale, Orca whale, or even the big Blue Whale. After a good time on the ocean, we head back to Akureyri with a short stop at Godafoss waterfall.